More than sheet metal fin and tube, RAE Insulated Case Coils provide you with a “ready to use” coil that results in immediate benefits. By eliminating on-site assembly, you can reduce your time on the job which means more money in your pocket. 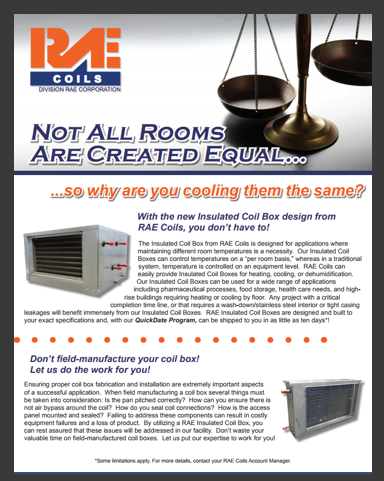 With our Insulated Case Coils, RAE Coils can provide the right coil, wrapped in cost saving efficiency, right when you need it. 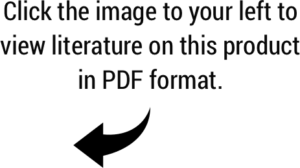 What is a cased coil? Basically it’s a standard RAE Chilled Water, Hot Water or Evaporator Coil, completely enclosed in an insulated coil housing. 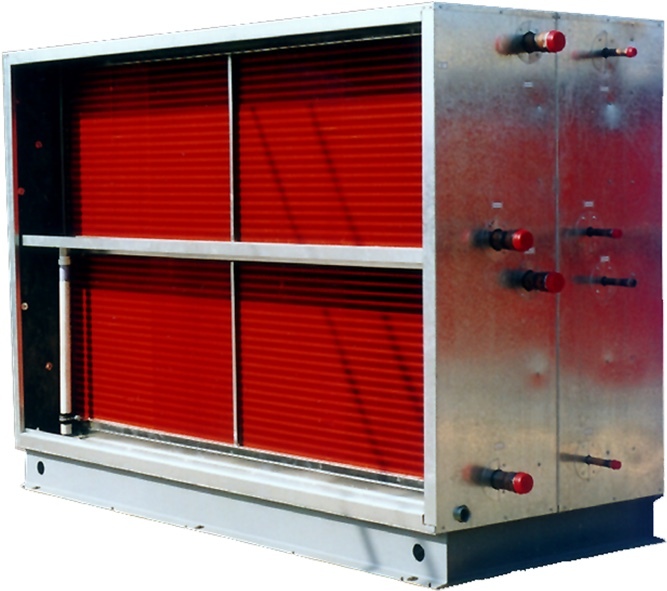 This type of application is typically used for additional cooling within duct work or air handling units. With RAE Coils standard design you can have a blow-through or draw-through configuration in as little as four weeks!